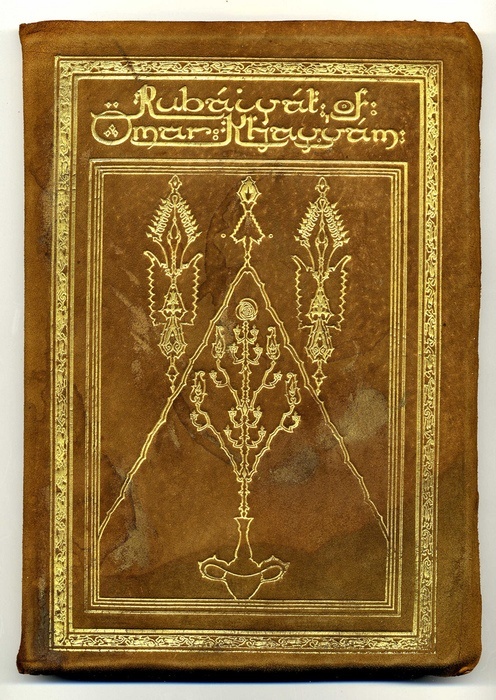 The Harry Ransom Center in Austin, Texas, has one of the largest collections of Rubaiyat-related materials in the world. 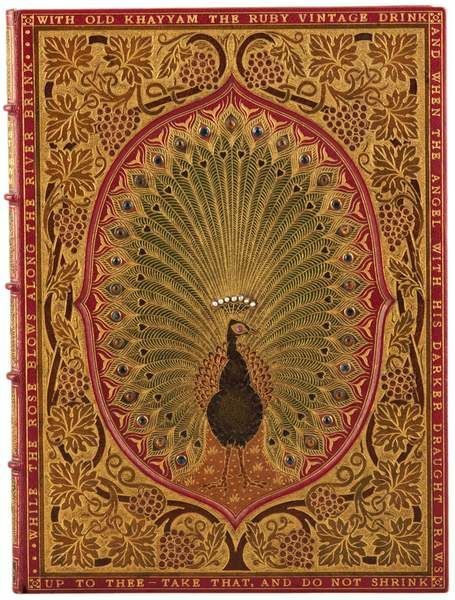 But there is one book it doesn’t have: The Great Omar, a specially crafted edition whose covers are embedded with 1,050 jewels. This dryly informative video delivers quite a jolt when the fate of this unique book and the man who made it are revealed. 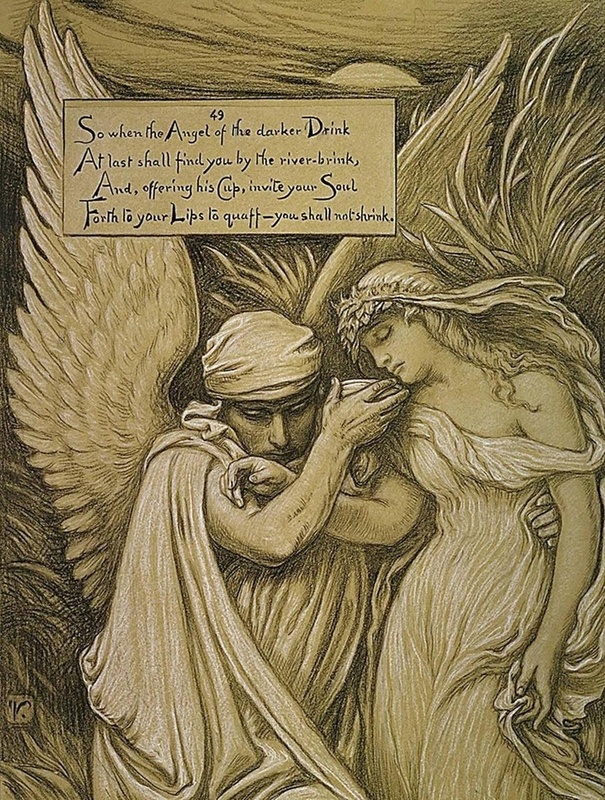 Elihu Vedder, an American artist, was the first illustrator of the Rubaiyat. 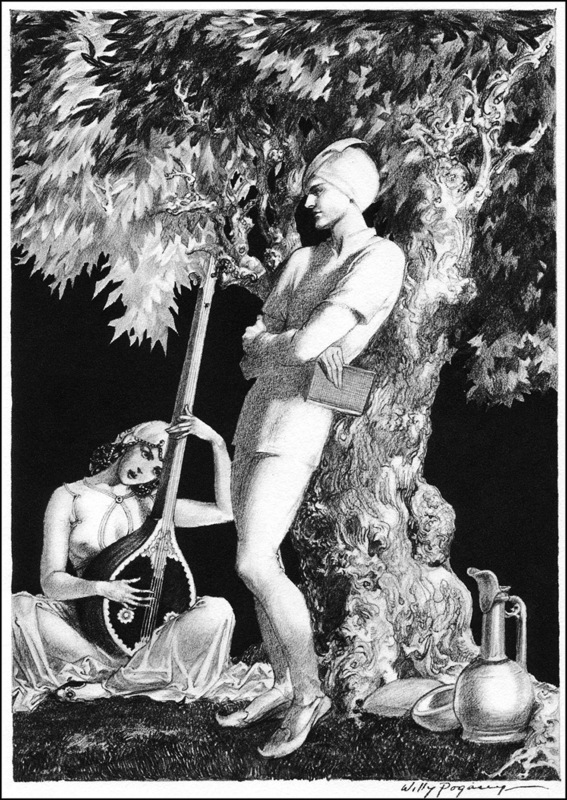 If you encounter any discussion of the Rubaiyat, it’s almost inevitable that this stanza will be quoted, because it nicely sums up the good life — the here and now — that Khayyam urges us to enjoy. 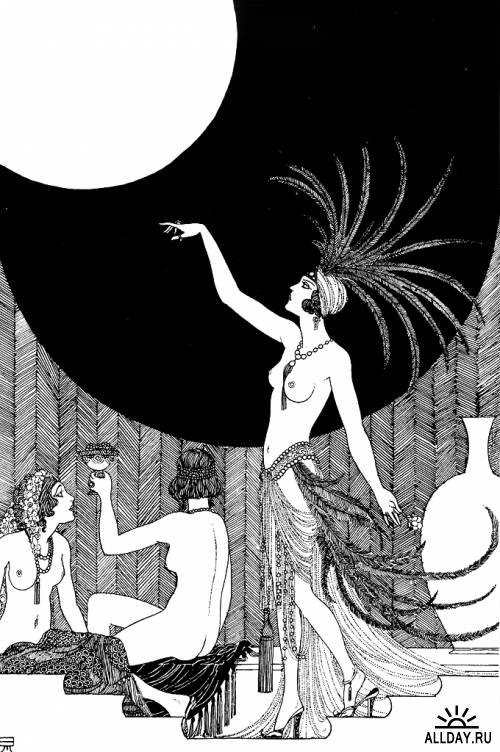 This translation is from Edward Fitzgerald (1st edition), and the illustration is by Willy Pogany. 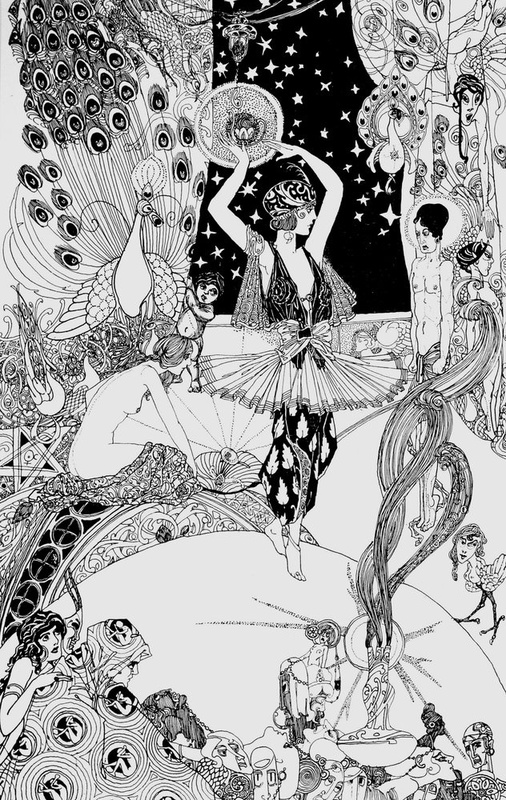 Here are some beautiful illustrations by Ronald Balfour, featured in a 1920 edition of the Rubáiyát. I hate the Kindle — and all eReaders — for a number of reasons, but the primary is one of aesthetics. 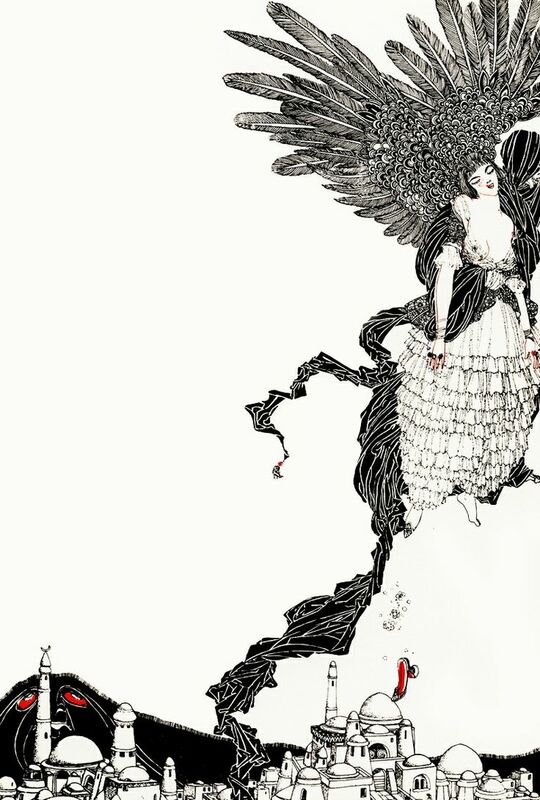 A digital screen will never match the beauty of a well-made, finely illustrated book. 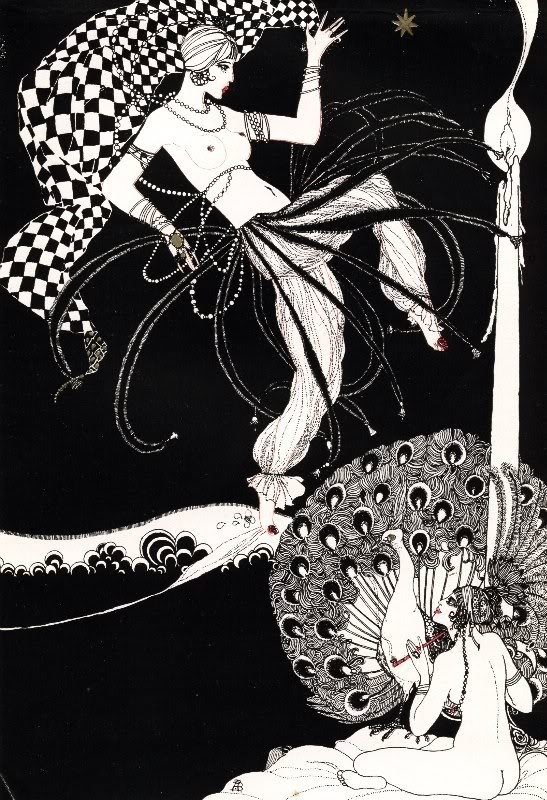 Here are some images of Rubaiyat covers I have gleaned from Pinterest. In the future I might expand and revise this post to include more details about the various editions. It would bring me great joy to own one of my own. 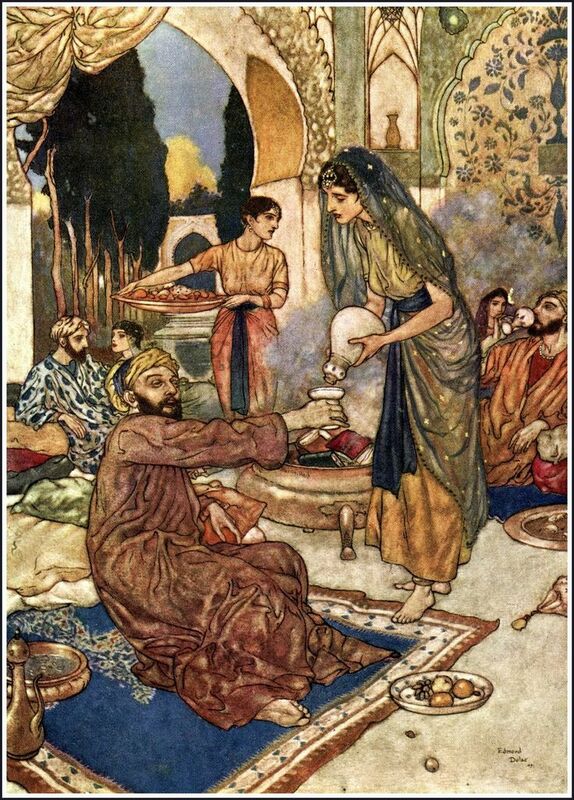 Omar Khayyám — functional alcoholic? “Place it on my tab, O Cupbearer! For life is fleeting, and death is final! Drinking at dawn — always a bad sign. Choose the right drinking buddy. Wise words from Old Khayyam! “I can renounce all, but wine — never. I can console myself for all else, but for wine — never. Is it possible for me to become a good Mussulman, and to give up old wine? — Never. Do not riot in the tavern; abide there without brawling. Sell your turban, sell your Koran to buy wine, then hurry past the mosque without going in. Could it be that the Khayyám of the Rubáiyát is an exaggeration or caricature of the poet himself? I find it hard to believe that he could have functioned as an astronomer — who took meticulous measurements to develop an incredibly accurate solar calendar — and as a drunkard. He was also a leading medieval mathematician. Did he write his treatise on algebra while nursing hangovers? Who knows. At least he knew how to have a good time. 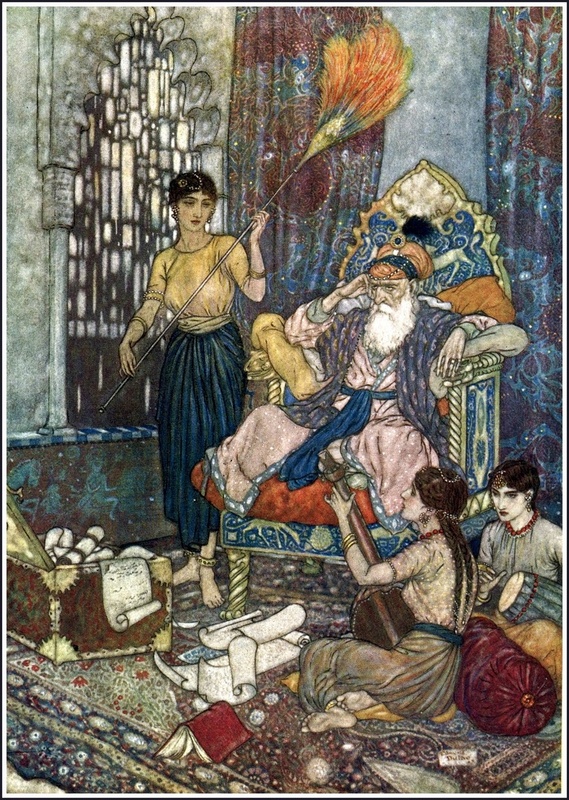 Today (Sunday) is the birthday of the Persian poet, Omar Khayyam, the original author of the Rubaiyat, a work that became immensely popular in the West because of the poetic achievement of Edward Fitzgerald, a wealthy British gentleman who did not accurately translate the words so much as faithfully channel the spirit of Khayyam into English verse. 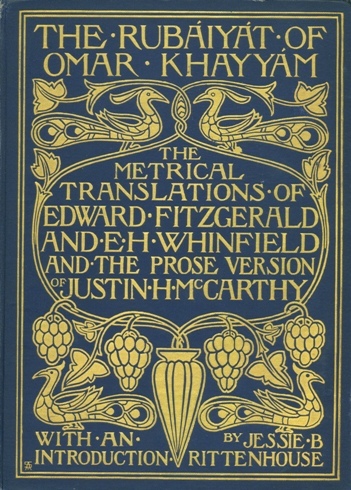 As Fitzgerald himself acknowledged, it is a “rendition” rather than a translation. Today I went to BookPeople, a well-known bookstore in Austin, where his work was absent from the shelves. It seems Rumi has displaced him as the most fashionable Persian poet (in the U.S., at least), although I do find Khayyam in used bookstores. 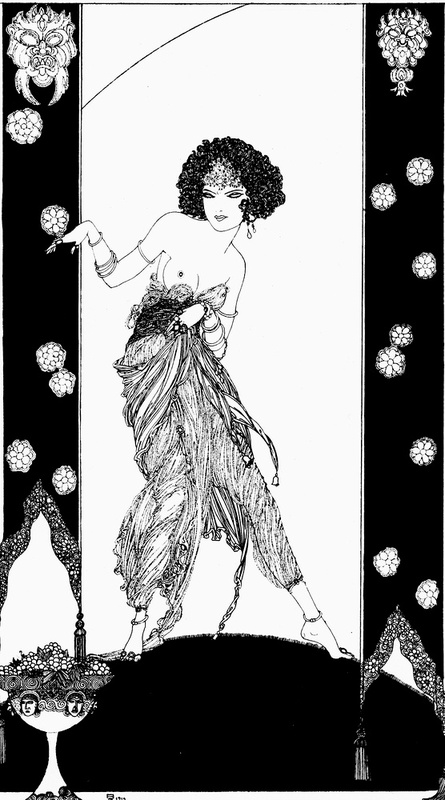 According to The Wine of Wisdom, the Rubaiyat became “a household name from the 1870s to the 1950s.” In WWI, soldiers carried copies of it into battle. 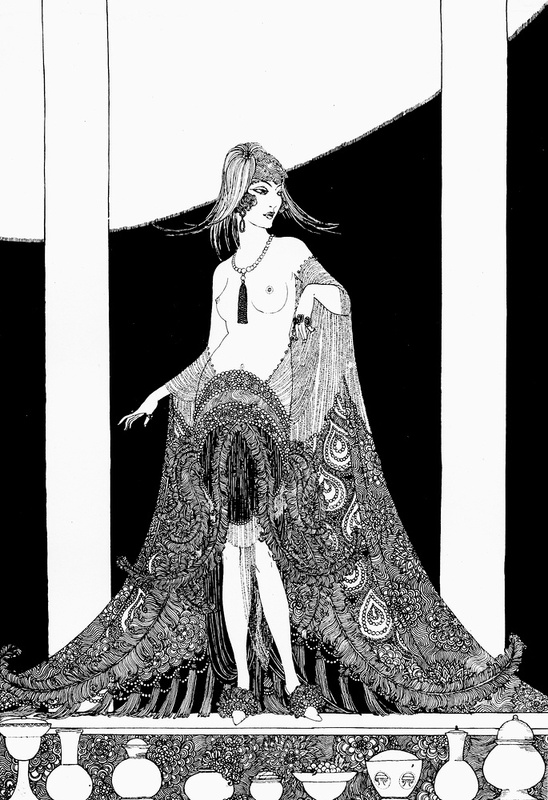 Its appearance was well-timed: with its jabs at religion, it appealed to a new secular way of thinking, and its association with the Victorian conception of the East — a place of exotic, romantic sexiness — captured the public’s interest. 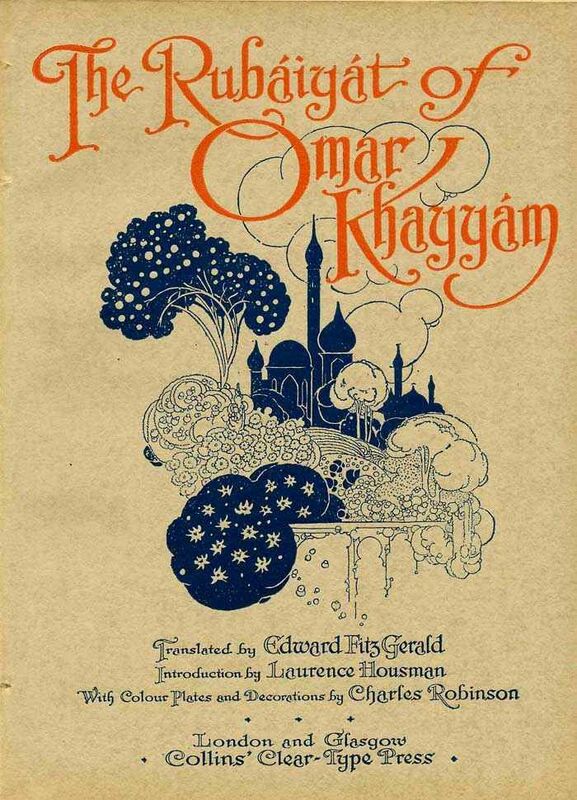 There is more than one Omar Khayyam — that much is clear. He’s a polymath and a partier. A thinker and a drinker. Though he’s had dining clubs named after him, his Epicurean image overshadows his contributions as a scientist, mathematician, and philosopher. Here’s a BBC video about him, which delivered a shock when it featured a visit to Austin’s Harry Ransom Center, which houses a large collection of Rubaiyat-related items (skip to the 33:25).